In the event of a loss, determining a value to replace your building and property with something comparable to what you currently own is rather straight forward. You also need to consider though that reconstruction requires you to conform to the latest building codes which can add a substantial amount to your loss expenses. Are you aware that replacement cost valuation on your building does not include the additional cost incurred to comply with current building codes? Have you identified all ordinance or laws that your building would be subject to during reconstruction? Do you understand if your current insurance program provides coverage for these ordinance and law expenses? Do you realize that even as a tenant, you may incur additional expenses or loss of income at the time of a claim due to ordinance or laws imposed on the building owner? Building Codes of various kinds pertaining to construction, electrical, plumbing, fire safety, etc. that may require more expensive materials, installations, design or methods in reconstruction than those used in the existing building. Ex: Requirement that if the building is damaged beyond a specified percentage of its value (50, 60 or 75 percent is typical), the remaining portion of the building must be demolished before reconstruction can begin. Ex: Laws requiring that reconstruction meet earthquake resistant standards. Zoning Laws that may prohibit present occupancy, or that impose onerous building or lot size or frontage requirements or restrictions. Ex: Laws pertaining to hurricane and flood zones (prohibit rebuilding or requiring building elevations above the flood or tidal level). Most building and zoning laws include a “grandfather” clause that allows existing structures/ occupancies to continue without conforming to the new current codes. However, if the property is substantially damaged, compliance with current codes is required in order to reconstruct. 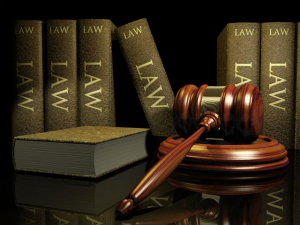 What is Ordinance or Law Coverage? Most commercial property policies include an Ordinance or Law exclusion eliminating coverage for loss or damage caused directly or indirectly by the enforcement of any ordinance or law regulating the construction, use or repair of any property, or requiring demolition of any property including the cost of removing its debris. Pays for the cost of demolishing undamaged portions of the building necessitated by the enforcement of building, zoning, or land use ordinance or law. Pays for any increased expenses incurred to replace the building with one conforming to laws or ordinances, or to repair the damaged building so that it meets the specifications of current building laws or ordinances. Coverage under this endorsement applies only in response to the minimum requirements of the ordinance or law. Losses and costs incurred in complying with recommended actions or standards that exceed actual requirements are not covered under this endorsement. As well, this endorsement only applies to ordinance enforcement triggered by the covered damage to the building. The Ordinance or Law Exclusion can often have as significant, if not greater impact, on Business Income and Extra Expense coverage than on the property loss settlement. Any delay in restoration of occupancy or operations caused by the need to comply with current codes is excluded. A claim will only cover loss of income based on the time it would have taken to re-establish normal operations, as opposed to the actual time needed to meet current codes. An “Ordinance or Law Increased Period of Restoration” endorsement can be purchased to extend Business Income or Extra Expense Coverage to include the additional time needed to restore occupancy or operations when delayed because of the enforcement of building or zoning laws whatever the reason for the delay imposed by the application of these laws. Coverage A – Undamaged Portion of Building: Coverage “A” does not require a specific limit be chosen as it pays the difference between the value of the damaged part of the property and the total building limit specified in the commercial property policy. As long as a building limit on the policy represents 100% of the replacement value, coverage will be adequate. What will it cost within the local construction market to demolish a building and remove it from the site? What percentage of the building is not damaged? What percentage of loss will require demolition-50 percent? 60 percent? 75 percent? Are there any special hazard issues such as asbestos, mold, etc? Determine the “worst-case” scenario – that the damage just reaches the percentage requiring demolition. Convert the worst-case scenario amount into square footage. Obtain an average cost per square foot for demolition and removal from a contractor. Multiply the square footage by the average cost per square foot. Coverage C – Increased Cost of Construction: Of the three coverage parts, a limit for the increased cost of construction may be the most difficult to calculate. You must understand all the buildings codes – local, state, and federal – that the structure would be subject to at the time of a loss to determine what upgrades would be required at reconstruction. There is no software available to readily do this and the age of the building alone is not a reliable indicator as there may have been updates at different times throughout the years. It really requires a specific look at your structure to determine the current codes applicable and going line by line through each to determine differences between current and proposed construction. Consultation with the city or county building department can be helpful and often they can direct you to the names of persons who are knowledgeable in this area. As well, a contractor, architect, engineer, or lawyer specializing in real estate law could be contacted to do this for a fee. Keep in mind that codes change continually so this would need to be reviewed on a regular basis. Business Income – Increased Period of Restoration: When determining your worst-case scenario to calculate your policy Business Income limits, you must take into consideration the additional time required to resume operations to comply with ordinance or laws. A five story furniture store, without ordinance and law coverage, had a fire that was limited to an elevator control box which cost $6,000 to replace. However, current laws required an entire new elevator be installed for approximately $250,000 leaving the insured to absorb this cost. Even though the stairs were still available for use, customer traffic to show rooms was drastically reduced. The store had to have the fifth floor inventory cleared out and relocated to an offsite storage place the owner had to rent. They had to hire extra staff to work at the new storage site that tracked their inventory. Without “Ordinance or Law Increased Period of Restoration” endorsement, the insured also had to absorb these losses/expenses totalling $100,000. A four-story, multi-use building built in 1940 burned to the ground. Americans with Disabilities Act (ADA) requirements mandated that an elevator be present in the building after reconstruction adding $300,000 to the cost. A sprinkler system was also required, adding another $100,000. The policy did not include an ordinance or law endorsement, which left $400,000 in reconstruction costs uninsured. The full cost of these requirements was assumed by the building’s owner. A three-story apartment building had a fire that was contained to six of the twelve apartments. A portion of the undamaged building had to be torn down and rebuilt due to structural damage. The insured had a building limit of $800,000 which adequately represented 100% of the replacement cost of the building. However, this full limit was not available for the demolition of the portion of the building which required to be taken down solely due to structural damage and not direct fire damage. This would be covered via ordinance and law coverage which the insured did not purchase. The uninsured cost to the insured was over $250,000.